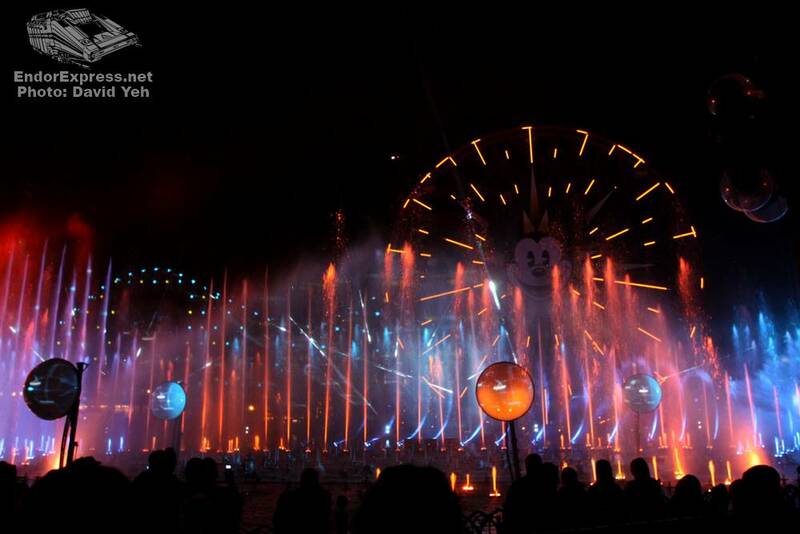 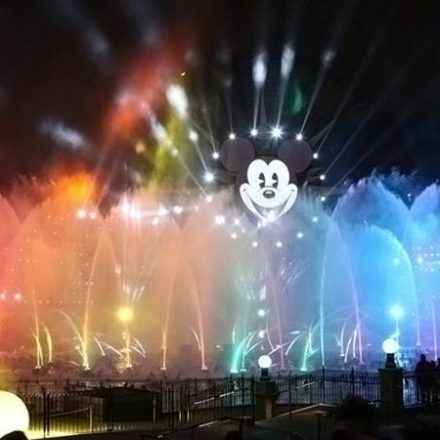 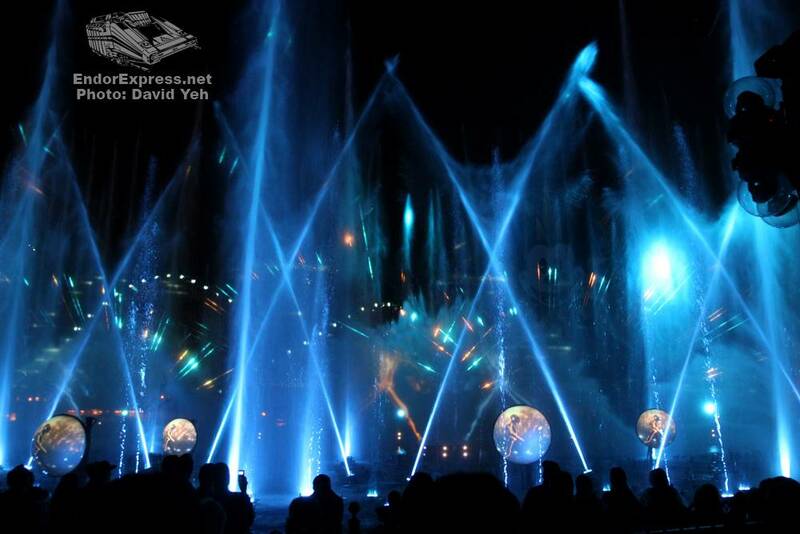 Since its opening just a few months ago, World of Color creator Steve Davison has promised a show that will be constantly changing. 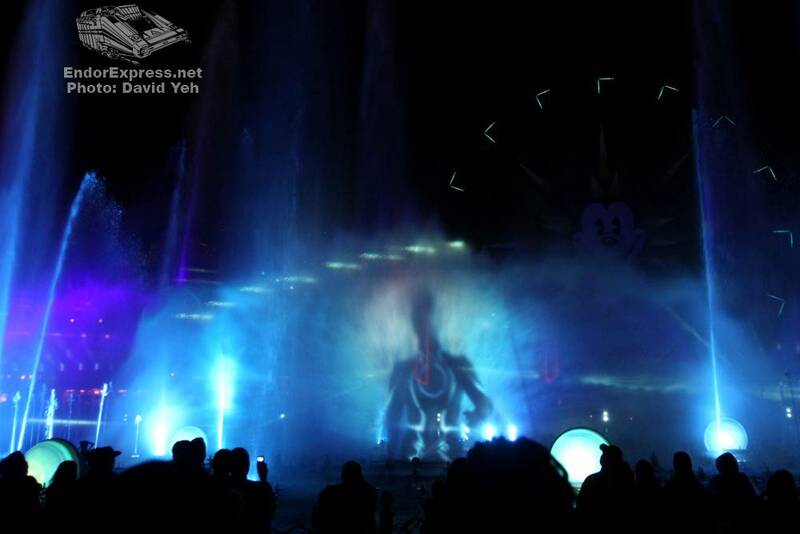 Many including I was shocked to discover that the update would come so soon. 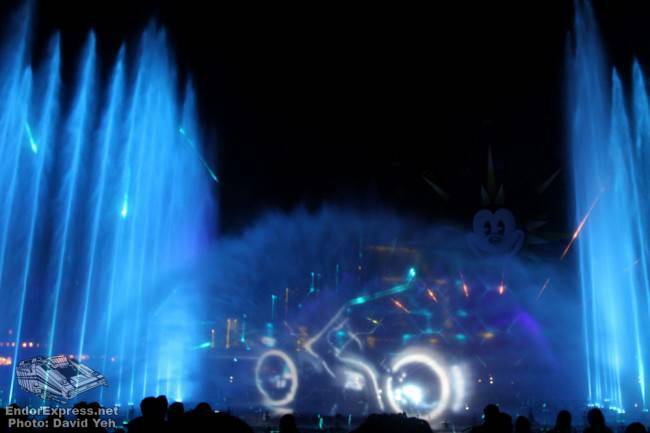 Following each show now is an encore featuring footage, music, and dialogue from TRON LEGACY, Walt Disney Pictures’ new film opening December 17th. 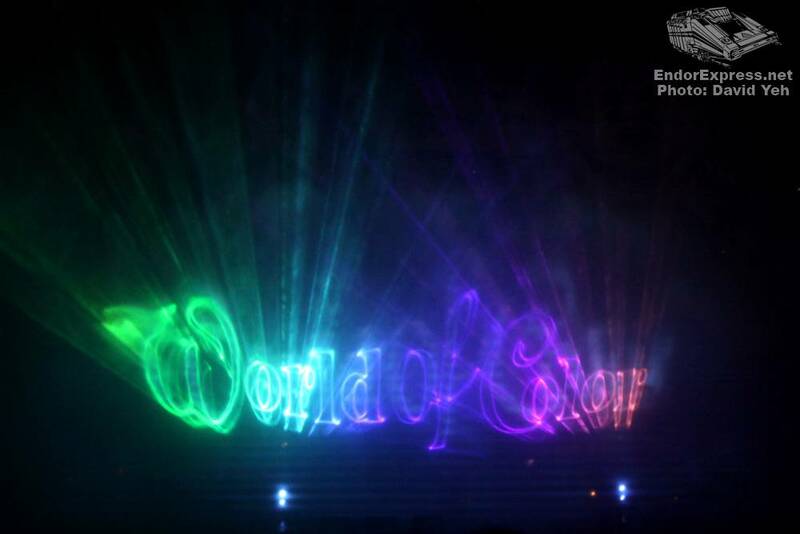 This new segment lasting several minutes long interrupts the very last beat of the original World of Color with Light Cycles, Disc Wars, and the like. 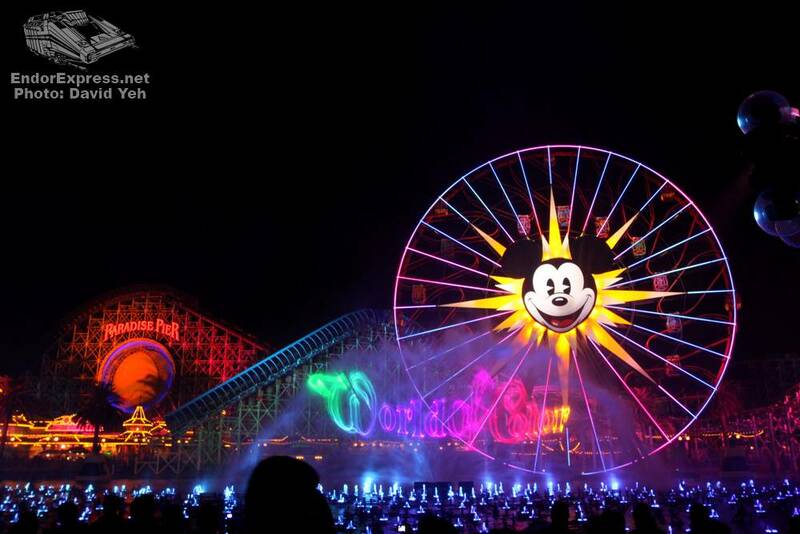 New lighting and projections even grace the California Screamin’ structure to great effect. 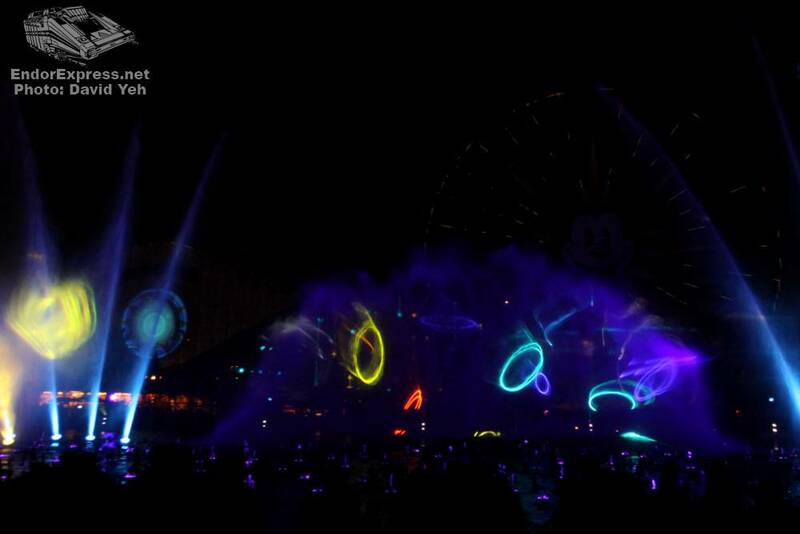 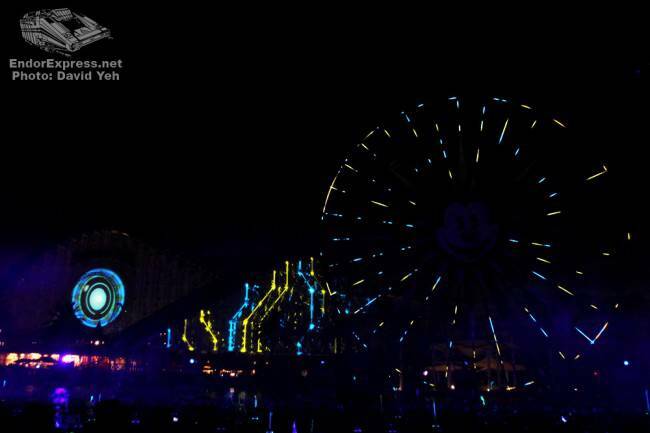 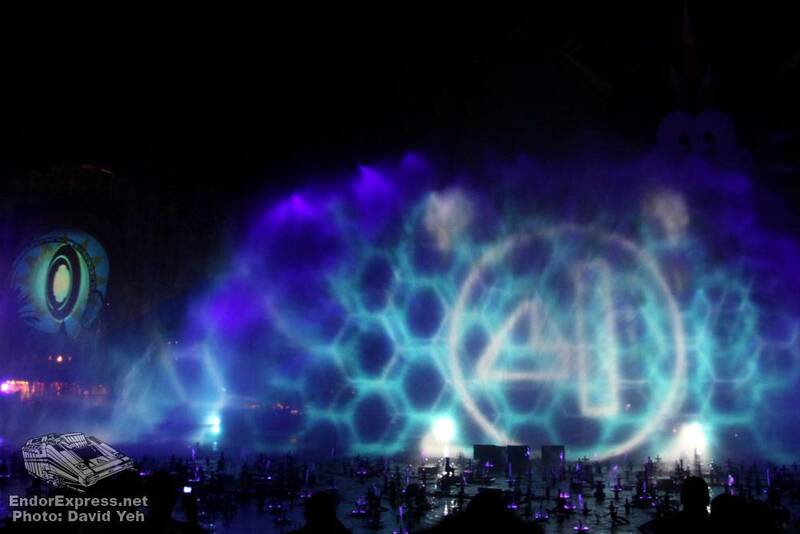 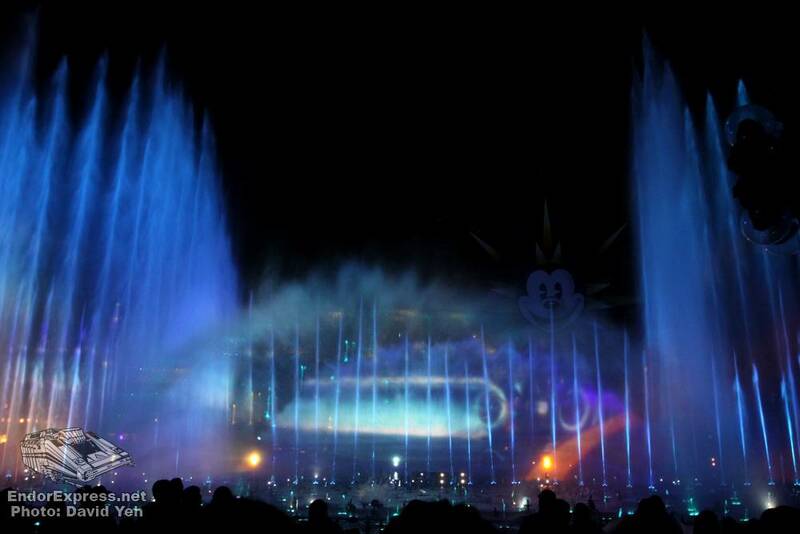 Please enjoy a selection of photos from the World of Color Tron segment below. 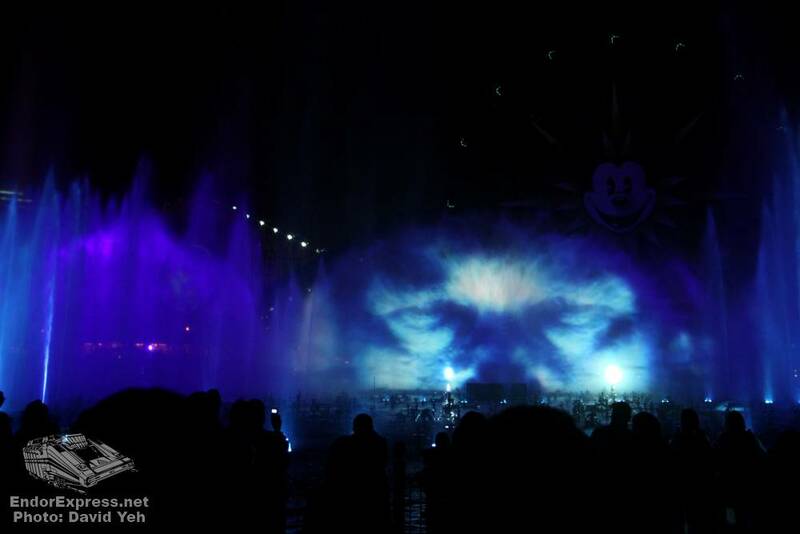 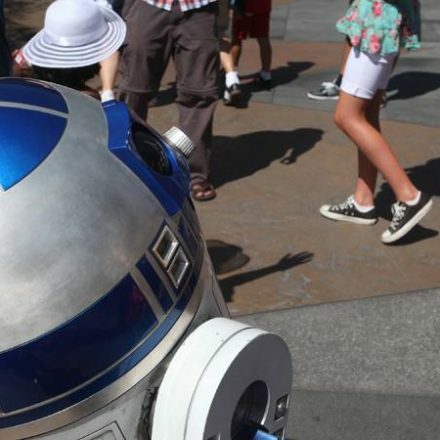 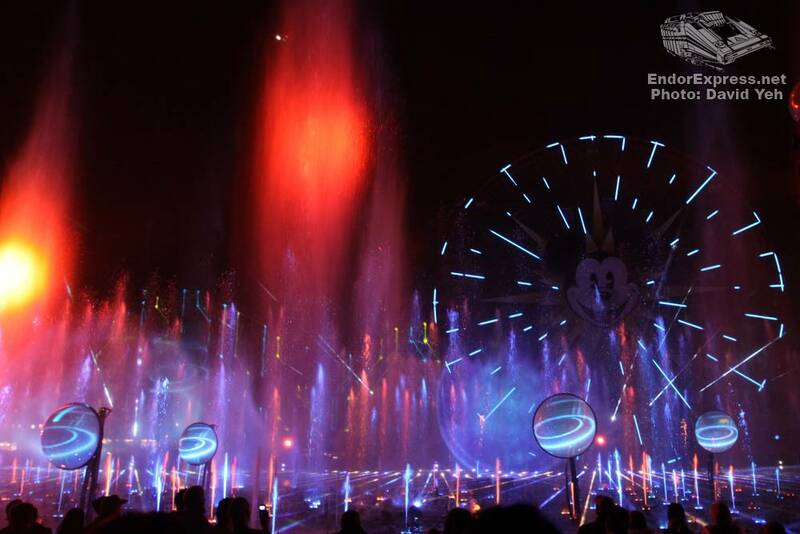 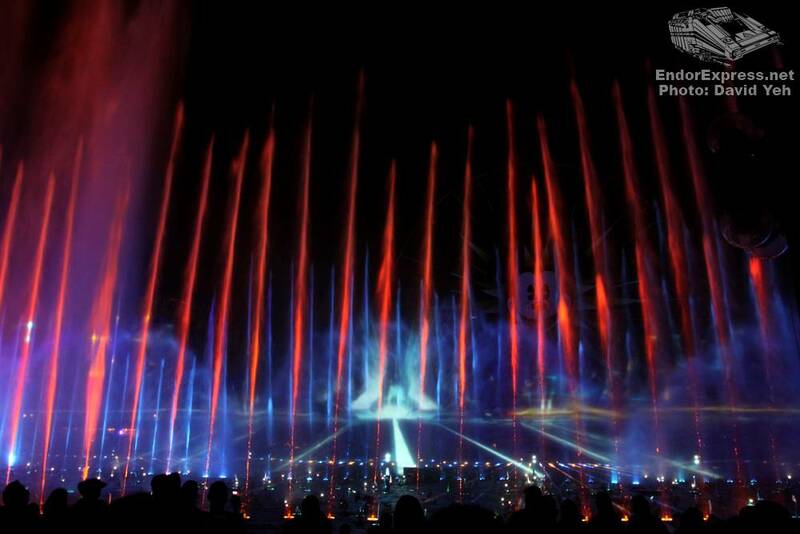 And as a special treat, more photos have been added to our coverage of Disney’s ElecTRONica! 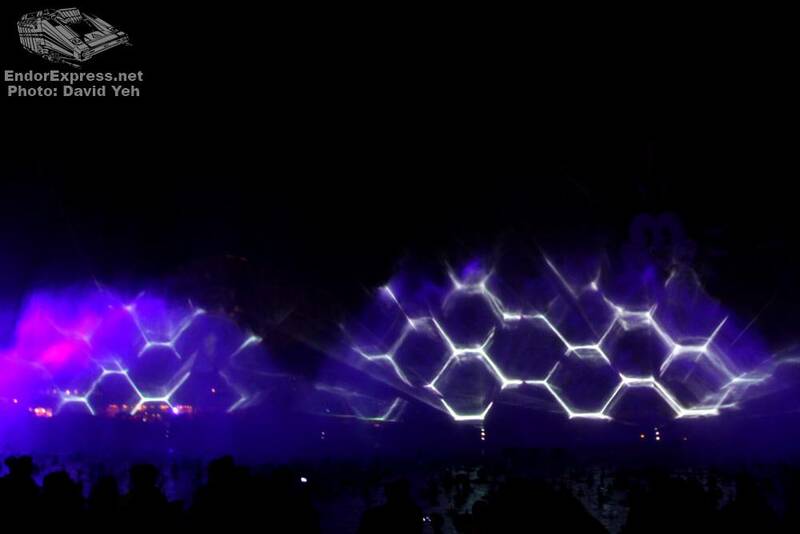 I saw that on friday night! 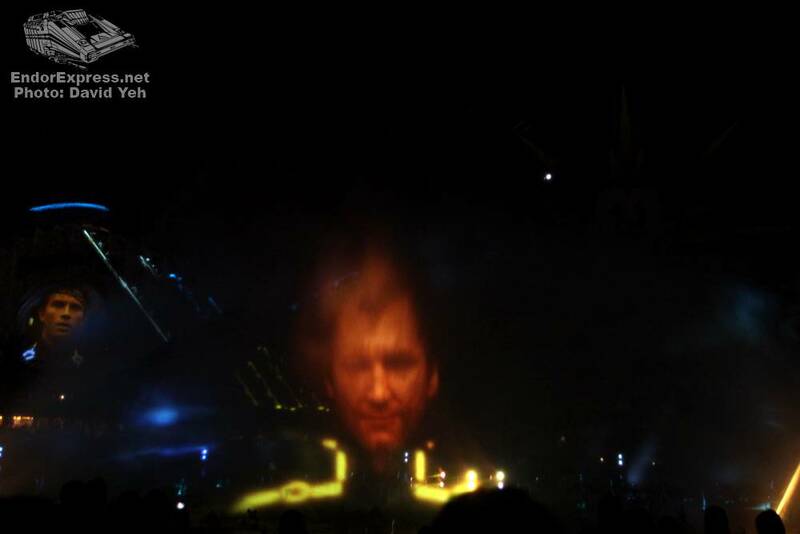 I didn’t know you were there David. We should have met up.